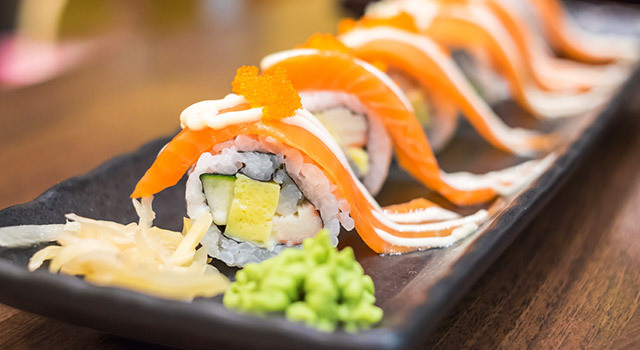 Sushi bars are becoming increasingly popular these days, and a commonly cited reason for the buzz is that sushi offers a healthier alternative to many other standard dining options. And, when considering an alternative to the likes of greasy pizza or a hamburger and fries – sushi can truly be a better option. But, just like many other types of cuisine, there are healthier and less healthy choices, and your selections from the menu will help determine the health benefits you receive from your dining experience. So the next time you reach for the chopsticks – strategize with these simple tips to make sure your lunch is as healthy as possible. 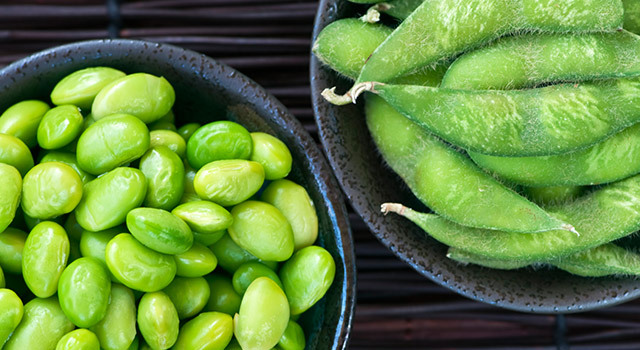 Most establishments will offer side dishes like miso soup, edamame, or a small side salad to complement your meal. All these options tend to be lower in calories than most sushi rolls, but have the added benefit of curbing your appetite so you don’t overdo it when it comes time to order your main dish. 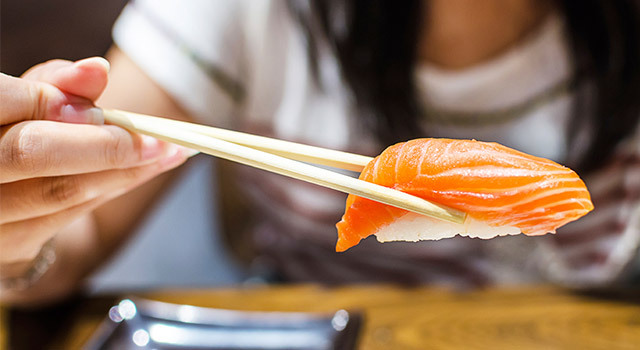 It’s important to recognize what healthy, and no-so-healthy, ingredients you may run across during your sushi dining experience. Picking a piece of fish that is rich in omega-3s and unsaturated fats will help protect your heart and benefit your brain. Both salmon and tuna are lower-calorie options, which pack plenty of protein and also have high vitamin D levels, in addition to having plenty of omega-3s. 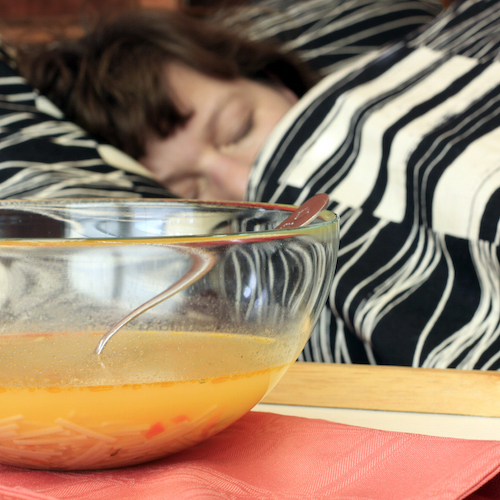 The type of ingredients and cooking style you choose can also impact the overall health benefits of your meal. Most sushi rolls include rice and a number of other ingredients, and many rolls are now deep-fried (look for the word “tempura” on the menu), to give the roll a crunchy texture. While delicious, tempura rolls – like most things deep-fried – tend to lower the overall health benefits the dish would provide otherwise. So, in an effort to make your sushi eating healthier for you, attempt to stay away from the crunchy or more exotic sushi rolls that contain numerous ingredients, and instead, focus on simpler rolls that have been steamed or grilled. Sashimi is also a healthy way to go, as it generally consists of just fish, and forgoes with the rice and other ingredients. 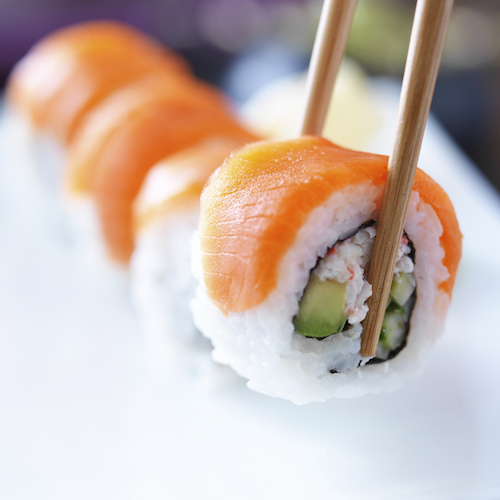 You can also try to eat more “veggie” rolls during your sushi outings. 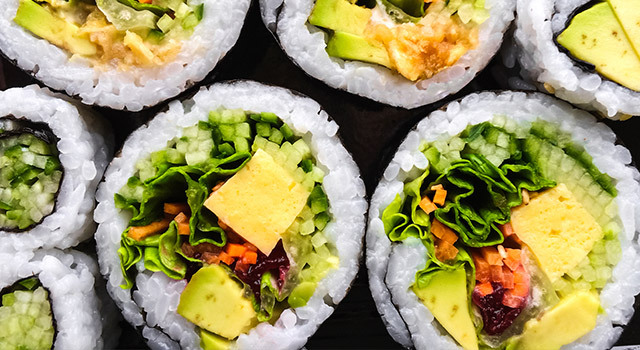 Many sushi bars will offer vegetarian options that use a variety of fresh ingredients like avocadoes, cucumbers, and sea vegetables – which are packed with vitamin K and magnesium. 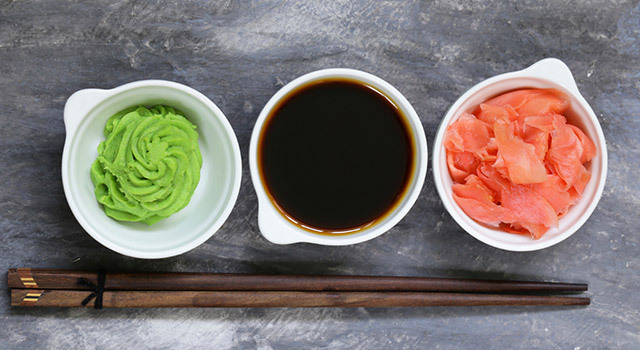 It can be tempting to dunk your sushi into bowls of soy sauce or drizzle them with eel sauce, but practice a light hand when it comes to adding condiments. 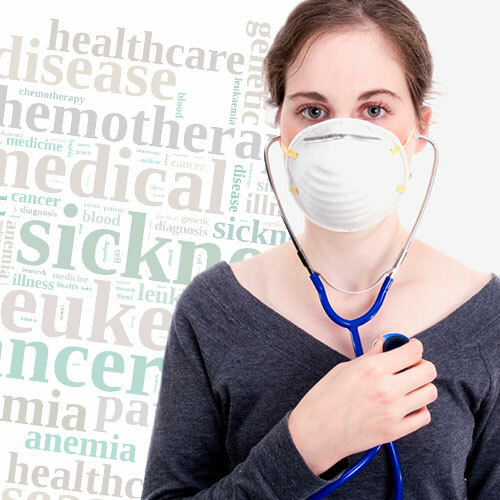 Anyone with high blood pressure should skip soy sauce entirely, since one tablespoon has almost half your recommended daily value of sodium. If you’re craving extra flavor load up on wasabi, the green paste adds a fiery punch to any dish and has numerous health benefits. In the end, just remember, while Japanese cuisine is some of the healthiest in the world, Westerners have a way of taking something that’s good for you – and then making it a whole lot worse (think, adding cream cheese to all the rolls…) So the next time you head out for sushi, take the time to look at the ingredients listed on the menu and make an educated decision – your body will thank you!